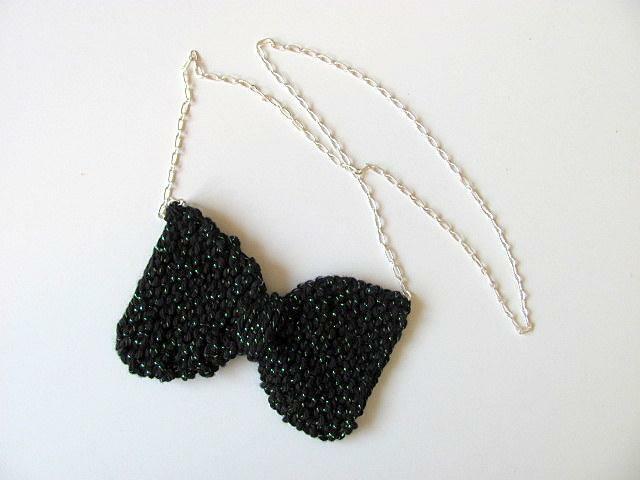 Have a fancy, black tie event to go to? Or just want to dress up a t-shirt?! 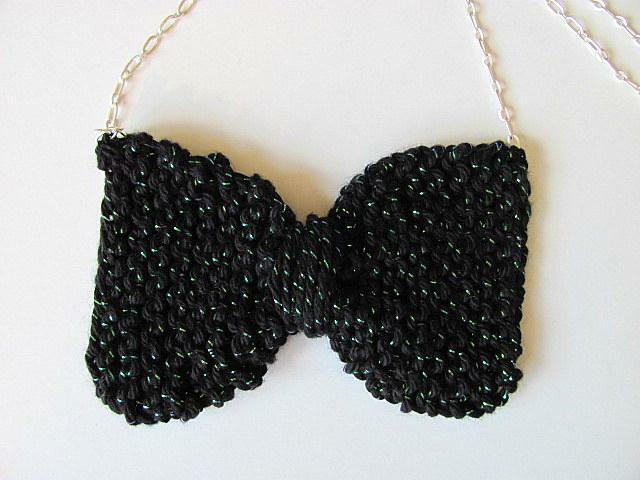 This is a knitted,cotton black bow tie. 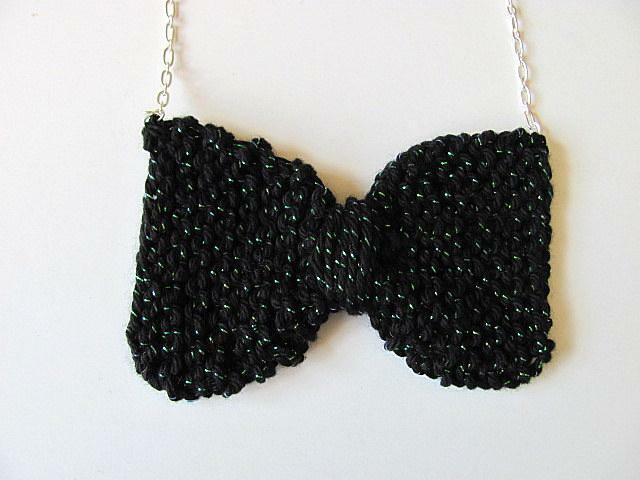 There is a metallic green thread running through it for some bling. 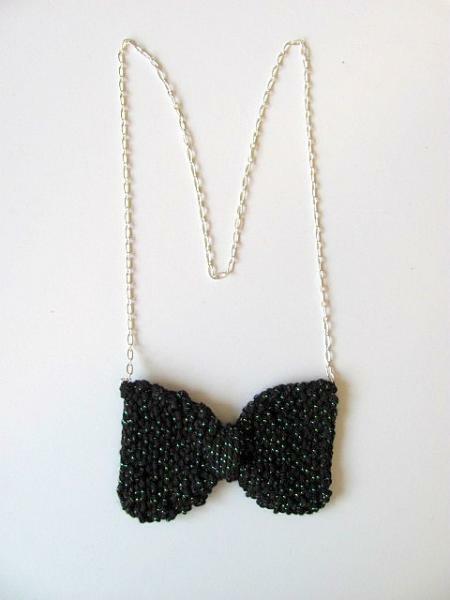 It is securely attached to a matte, silver tone chain and easily slips over your head. The chain measures 26" (68cm).